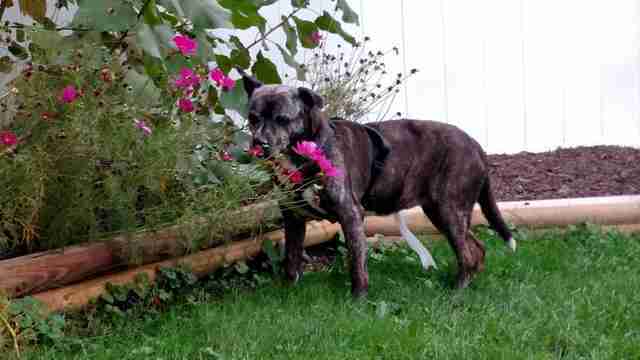 For 11 long years, Olive waited at the Yonkers Animal Shelter for a forever family to arrive. As she spent nearly 20 hours a day alone in her enclosure, there were at times doubts that that day would ever come - but finally, it did. Olive was only a puppy when she came to the shelter, and no one could have known exactly how long her stay would be. She was almost adopted four years after her arrival, but a sudden tragedy prevented that from happening. And so at the shelter Olive remained. While shelter staff loved and grew attached to Olive, they also knew that she deserved a loving home to call her own. 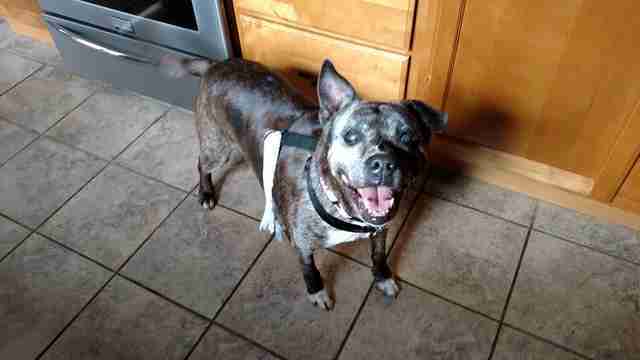 Olive's journey to her new forever family began with a Facebook page. A woman who had adopted from the Yonkers Animal Shelter once before created a Facebook page for Olive before she had even begun the adoption process - she had simply decided that Olive was meant to be a member of her family. She had seen Olive's story being shared and thought about her for a while before making her decision, and as the process of adopting Olive progressed, she posted updates on the page. On the day Olive left the shelter, many of the staff cried, both out of sadness that she was leaving them and out of joy that she would finally have a home and be loved. 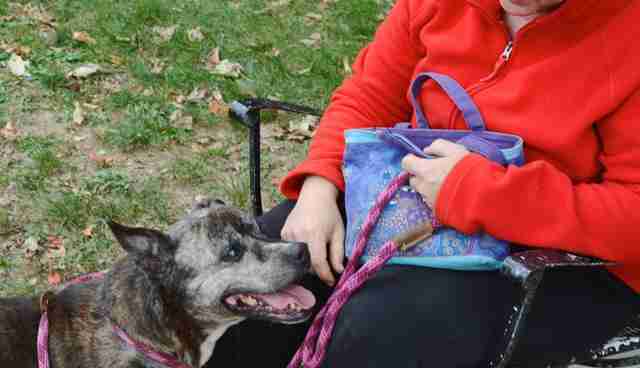 "Olive bonded with her new mom the minute she met her at the shelter," a staff member at the Yonkers Animal Shelter told The Dodo. "Olive seemed to know something was happening." 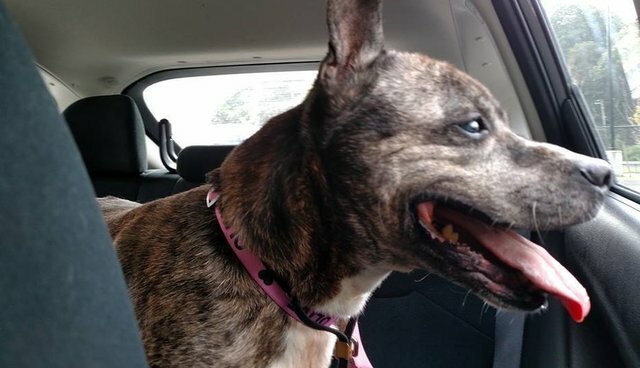 The Yonkers Animal Shelter posted a tribute to Olive on its Facebook page, saying, "As you can imagine it is a bitter sweet day at the shelter. While we are beyond thrilled for her, we will selfishly miss that sweet face that has been part of our lives for so long. Many tears have been shed here today but for a change they are happy tears." Since arriving in her new home, Olive has played in her new backyard, eaten lots of treats and gotten to know her new dog brother, according to her Facebook page. She's still adjusting to her new life, but every moment that Olive is there, she seems more and more comfortable. It's as if she knows that, after way too long, she's finally where she belongs. If you'd like to add an animal in need to your family, check out Adopt-a-Pet.com to get the process started.